407 pages | 95 B/W Illus. Cloud computing—accessing computing resources over the Internet—is rapidly changing the landscape of information technology. Its primary benefits compared to on-premise computing models are reduced costs and increased agility and scalability. Hence, cloud computing is receiving considerable interest among several stakeholders—businesses, the IT industry, application developers, researchers, and students. To successfully embrace this new computing model, these stakeholders need to acquire new cloud computing skills and knowledge. 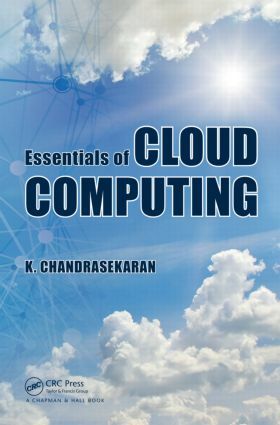 This book is designed to provide readers with a clear and thorough understanding of the key aspects of cloud computing. Presented in an easy-to-understand style, Essentials of Cloud Computing begins with an introduction to basic cloud computing concepts. It then covers cloud computing architecture, deployment models, programming models, and cloud service types, such as Software as a Service (SaaS) and Infrastructure as a Service (IaaS). It also discusses the cloud’s networking aspects, major service providers, open source support, and security issues. The book concludes with a discussion of several advanced topics, such as mobile clouds, media clouds, and green clouds. This book is intended for beginners as well as experienced practitioners who want to learn more about cloud computing. It includes many case studies, programming examples, and industry-based applications. Each chapter concludes with review questions that help readers check their understanding of the presented topics. Essentials of Cloud Computing will help readers understand the issues and challenges of cloud computing and will give them the tools needed to develop and deploy applications in clouds. How Cloud Meets Agile Process? How Pervasive Computing Helps Cloud Computing?